Finding an unloved home ripe for a remodel can be a great find. If you think an remodeling project might be the project for you, then take inspiration from these incredible homes that got an exterior facelift during their remodel. This remodel and extension project, by Tony Holt Design has transformed a 1930s Spanish-style chalet bungalow into a New England-inspired family home. 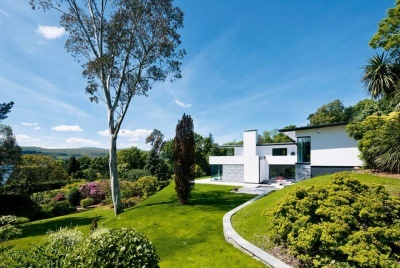 Architect Neil Turner and wife Anita have given their hunting lodge style home a Modernist makeover and extensive eco overhaul. Rachel and John MacElvogue have extended and remodelled their 1950s home to include a self-contained granny annexe and extra space for their growing family. Karen and Nial Stewart have radically improved their 1980s property with a large timber-clad extension to create a unique 21st-century family home. Thinking of remodeling your home? Talk to the experts at the Homebuilding & Renovating Show. Get two free tickets. Charlie Grieg’s forgettable semi-detached home has been given a Miami beachside villa style remodel. OB Architecture was brought in to give this dated 1970s property a complete remodel. The project has not only provided much-needed extra space, but has also given the property’s appearance a new lease of life. Thanks to the team at Paul Testa Architecture, this home has gone from a tired detached house to a modern home. 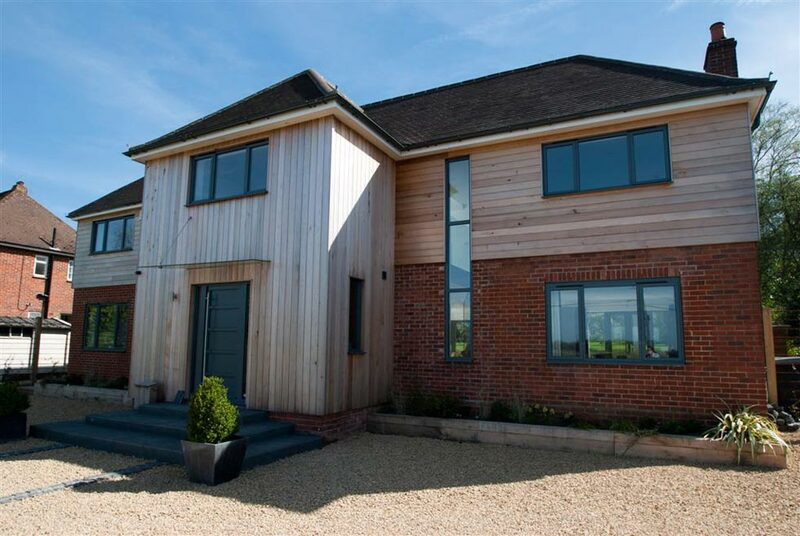 Fresh render, timber cladding and new windows add a contemporary feel, while the entrance has been moved to the centre of the property to create a more symmetrical look. Sarah Cartwright and Paul Soanes have transformed a drab bungalow in Dorset into a stunning contemporary coastal home that takes full advantage of the enviable views. Dan and Liz Burgess have transformed their old bungalow in Berkshire into a stunning oak clad family home. 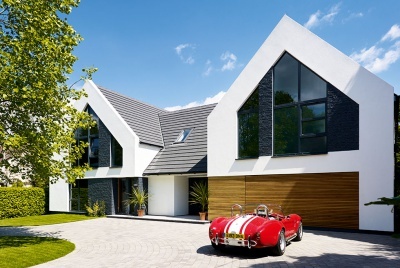 AR Design Studio has created a more open plan interior and a more symmetrical front elevation of this property but replacing the existing side garage with a two-storey extension. It is hard to believe that Penny Shankar’s 1950s bungalow could become this stunning two-storey modernist home. From a boxy Georgian brick build to a Tudor-inspired manor house worthy of its impressive grounds, Mark and Julia Swannell’s 10-year remodel and extension project is nothing short of remarkable. The existing red brick of this five-bed home in Winchester has been clad in a muted palette of materials, including white and grey render. New windows and a contemporary front door canopy add to the look. This existing red brick bungalow has been remodelled by Transform Architects using an updated palette of materials, a new single-storey rear extension and a new entrance canopy roof to the existing front door. This charming New England-style home is the product of a nine month remodelling project on a tired home in a large plot. 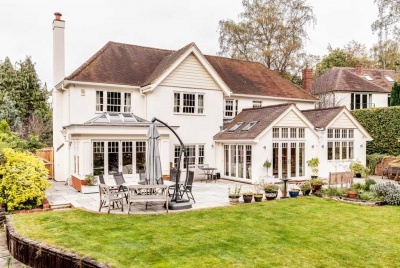 Katherine and Dominic Luxton have carried out a remodel and extension project to their Victorian house in Surrey which blends old and new design to create a beautiful family home. Owner Glenn Malloy compared the original appearance of their home to a community centre, but it has now been given a glamorous contemporary makeover. A clever solution to a tricky space problem has brought a touch of drama to this sensitive extension to a Grade II-listed cottage in north Norfolk. Chris and Kate Archibald have transformed an uninspiring house on a sloping plot in West Sussex into a striking contemporary family home designed to make the most of the stunning views. One couple have sensitively restored and extended an 18th century period house — returning it back into two cottages in the process with the addition of a modern extension to the rear. 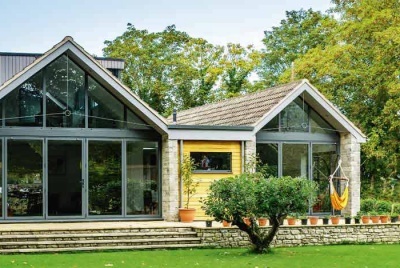 Thanks to a series of one and two storey extensions, and new open plan configuration internally, this bungalow has been transformed into an impressive contemporary home by Martin Bell at Transform Architects. Great ideas that we can all share. It free s your mind.